Go head to toe in one hue with this must-have denim skirt. 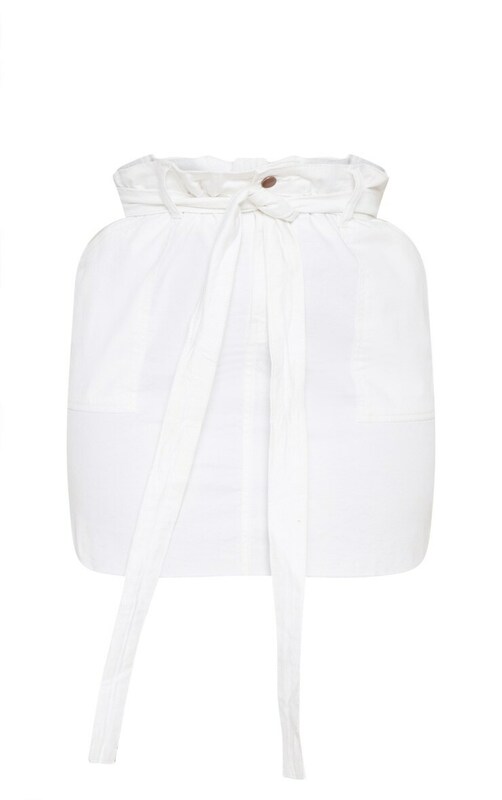 Featuring a white denim material with a waist belt, pocket detailing and a frayed hem. Team this with a bodysuit and biker boots for a look that's sure to get you noticed.